This entry was posted in Announcements on May 30, 2017 by Donna Campbell. In February of 1901, Walter Berry, a lawyer and member of élite society in New York, expressed a regret in a letter written to his close friend Edith Wharton. “How I do wish I could run on to see the first rehearsal of the Shadow,” he wrote. At the time, Wharton, who was thirty-nine years old, was not yet a novelist, having only published shorter fiction and poetry, as well as co-authoring, with Ogden Codman, “The Decoration of Houses,” an 1897 book about interior design. But she was a budding playwright, and, as two scholars have just deduced in an important bit of detective work, Berry’s glancing reference was to one of her works: “The Shadow of a Doubt,” a three-act play that was in production in 1901. It was to star Elsie de Wolfe as Wharton’s heroine, Kate Derwent, a former nurse married to John Derwent, a gentleman above her social station. Kate’s role in assisting the suicide of her husband’s former wife, Agnes, whom she tended to after an injury, is revealed in the course of the drama. This entry was posted in Announcements, Wharton in the News on May 27, 2017 by Donna Campbell. New Queries: French documentary on EW; EW and architecture article in EWR; EW–did she watch silent movies set in the Arab world? Comment: I’m a french journalist and I’m working on a documentary project for TV about Edith Wharton, and more precisely New York in Wharton’s view. We are coming on june, and I would need to meet for an interview, someone who could talk on the purpose. Would you accept to help me ? Thank you in advance for your precious help. My name is Diane, i am from a french television station called Arte : http://www.arte.tv/fr. We produce a daily cultural show : Invitation au voyage diffused every day at 4:00 pm. I am contacting you because i am working with an other journalist on Edith Wharton in New York. Our projet is to film New York though her eyes for a short movie. Do you have some advices to give me ? Do you know people who would be glad to talk about her and about New York ? Beacom, Betsy Currier. “The Decoration of Houses and the Role of space in the Construction of Edith Wharton’s Authorial Self.” Edith Wharton Review 28.2 (Fall 2012): 9-16. Comment: I am reading In Morocco (1920) and wonder if Edith Wharton ever watched any of the popular silents of her era set in the Arab world. Has anyone seen anything written by her that addresses her feelings about movies as a new industry? And what films she saw and was affected by? And if she thought Hollywood’s imaginings would translate to other places in the world, whether that be France or North Africa? 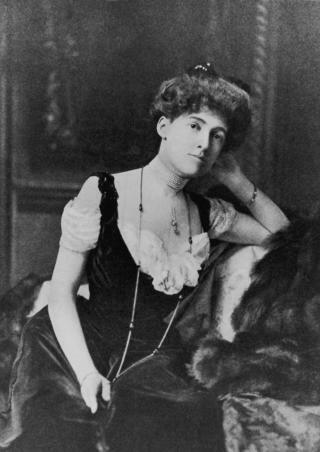 If anyone has any information about Edith Wharton’s view of Hollywood, it would be much appreciated! This entry was posted in Queries on May 18, 2017 by Donna Campbell. This entry was posted in Announcements on May 18, 2017 by Donna Campbell. The Edith Wharton Society is expanding and extending the call for proposals for the South Atlantic Modern Language Association Conference (SAMLA 89) to be held in Atlanta, Georgia, November 3-5, 2017. The Society is widening its call for papers to any aspect of Wharton studies. The conference topic is High Art / Low Art: Borders and Boundaries in Popular Culture, so papers related to this topic will be welcome but not required. Please submit a 300-500 word abstract and one page CV as email attachments to Mary Carney at mary.carney@ung.edu on or before Thursday, June 1, 2017. This entry was posted in CFP on May 18, 2017 by Donna Campbell.